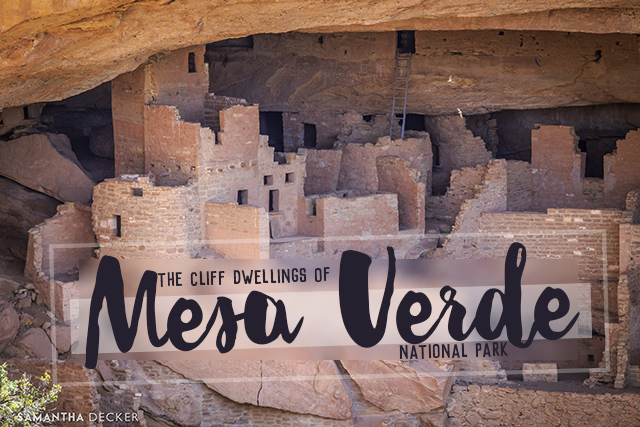 Mesa Verde is not the most visited National Park in the U.S., but it is a distinctly unique one with its Ancient Puebloan cliff dwellings, some of which can be toured by visitors. 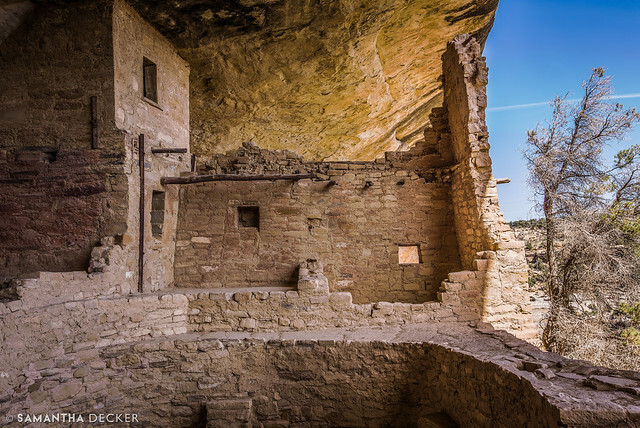 In this post, I'll share some photos I took while in the park and during my tour of Balcony House. Click here to read my previous post in the American Southwest series, about Arches National Park. I love taking photos of state welcome signs. 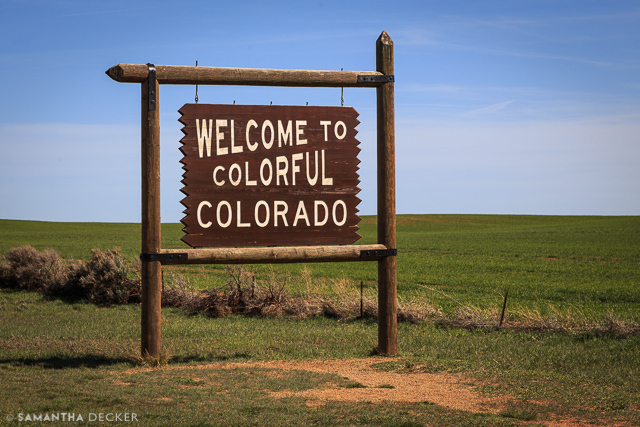 This Colorado one is interesting. 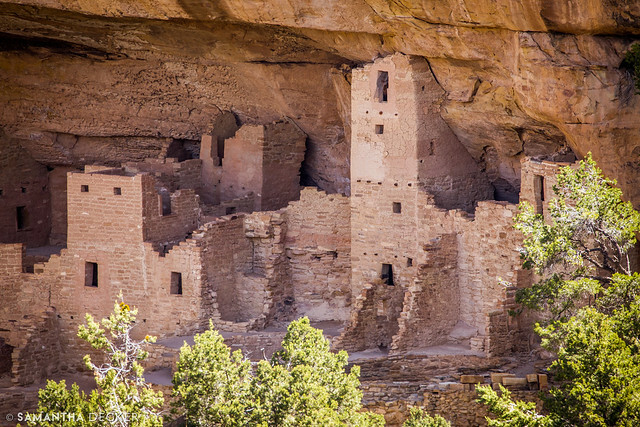 A lovely site on the drive into Mesa Verde from nearby Cortez, CO. 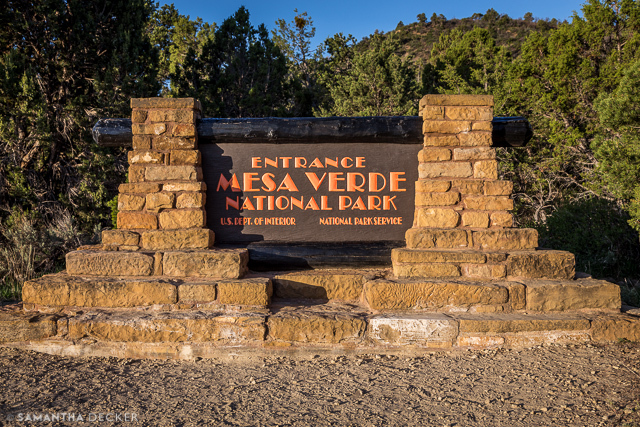 The unique park sign for Mesa Verde. No two park signs seem to be alike. 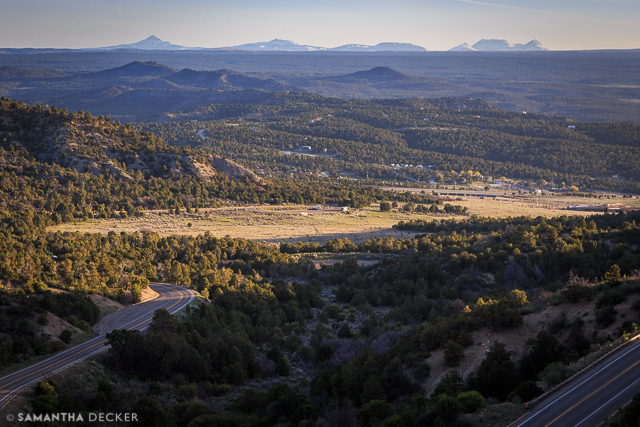 Looking down at the town of Mancos, CO. 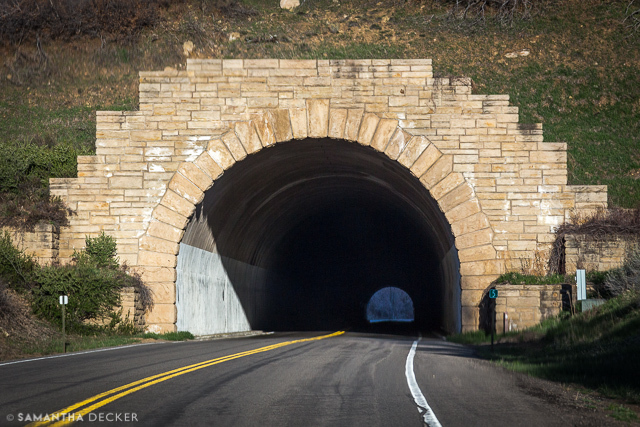 These tunnels always make me think of Back to the Future Part II and the famous chase scene with Marty on a skateboard. 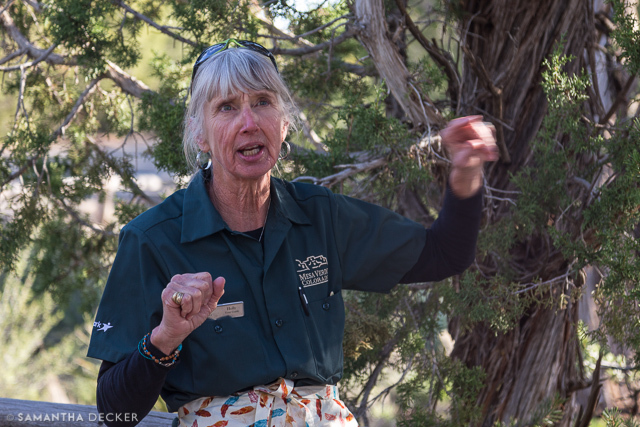 This is Holly, our tour guide throughout the park. 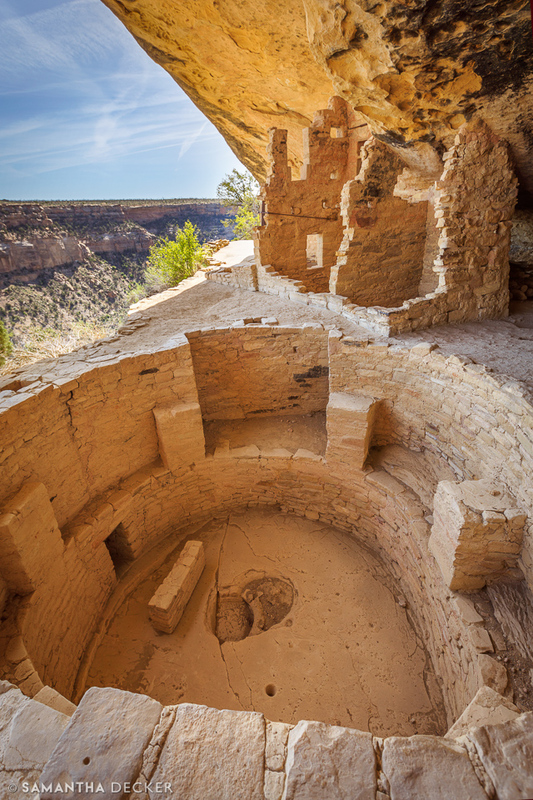 Above and below are pit houses that were built by Ancestral Puebloan people. The large square near the center of the bottom photo is where the fire was kept. 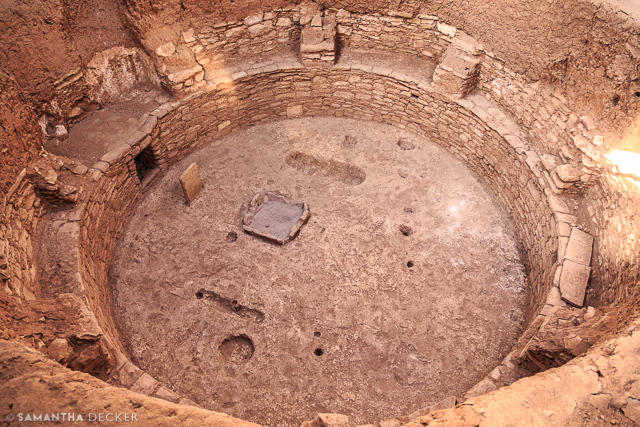 The bottom photo is what's known as a Kiva. You can't tell from the photo, but they entered the home from above via a ladder. 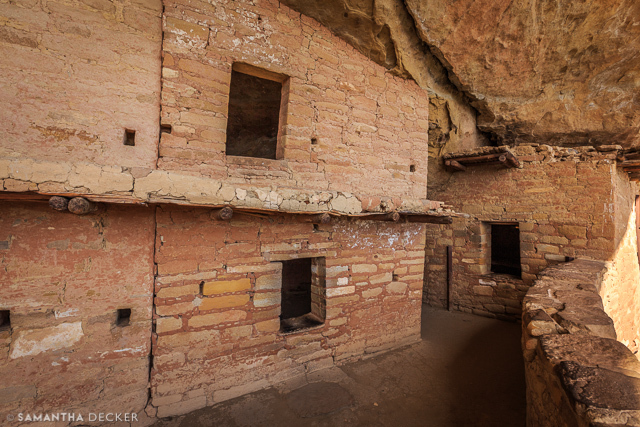 Some cliff dwellings I captured along the tour. Each one is unique. 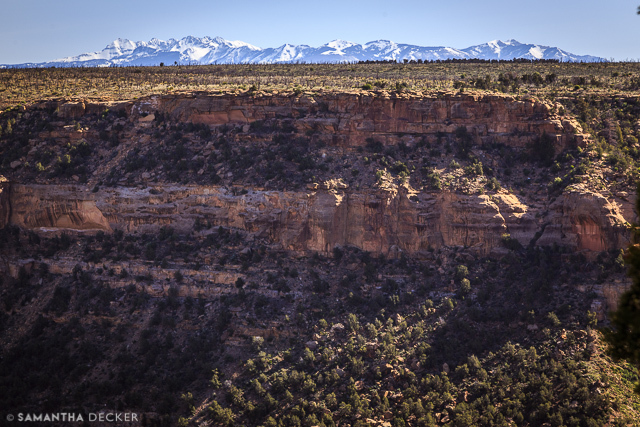 Above, the cliffs with the La Sal mountain range visible behind. 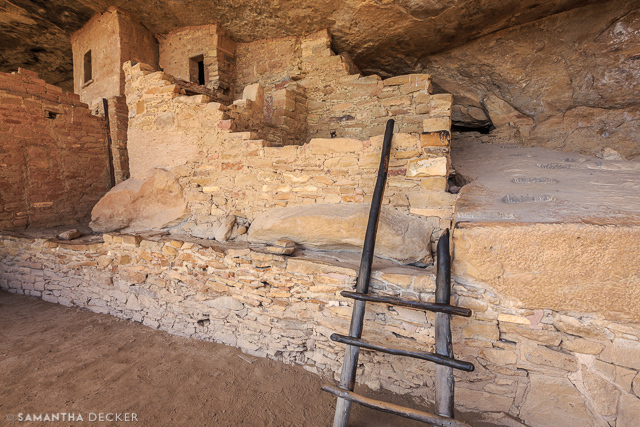 Climbing this 30-foot ladder is one of the challenges of the tour of Balcony House. 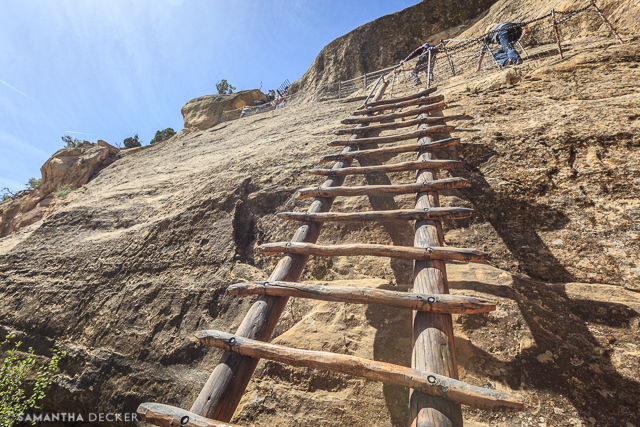 About five minutes prior to climbing it, I had sprained my ankle stepping in a pot hole at the bottom of a staircase. Luckily it was a minor sprain and the park ranger, Katie, was great with the first aid, so I ventured on and successfully completed the tour. 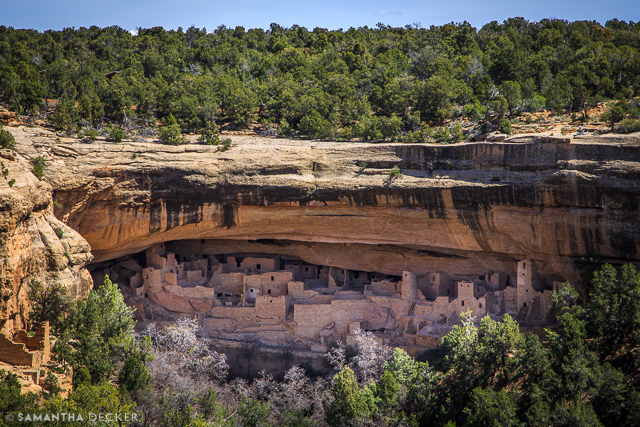 In the above photo, you can see some of the dwelling along with the sheer drop off. 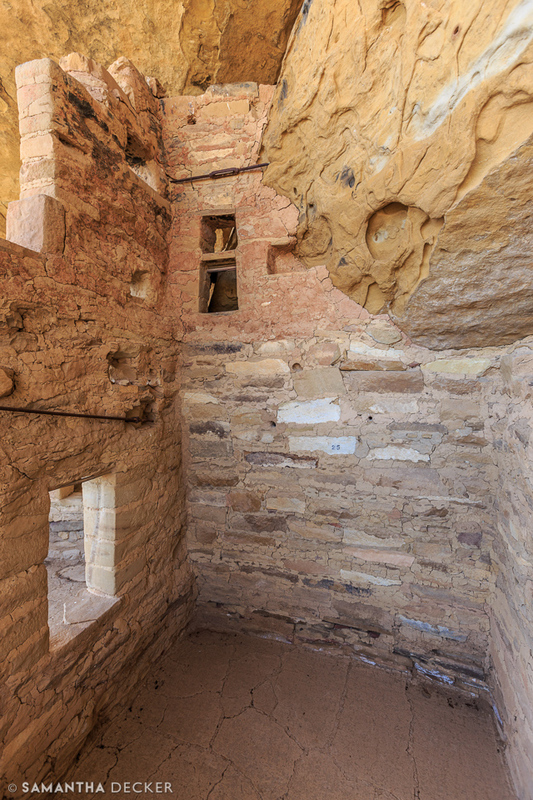 In the above photo, you can see that the walls were built at two different times. 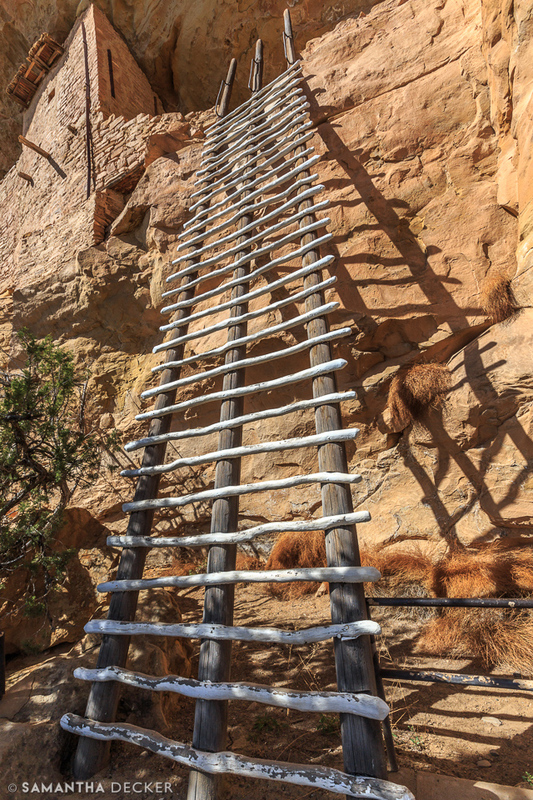 A small ladder takes you into the next portion of the dwelling. 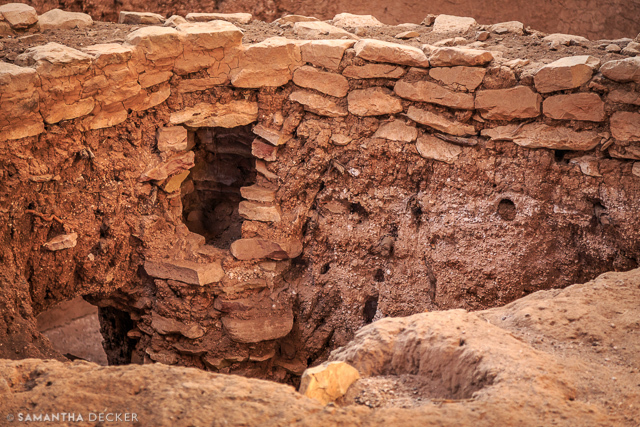 Another kiva in the bottom portion of the above photo. It was often used for religious ceremonies. 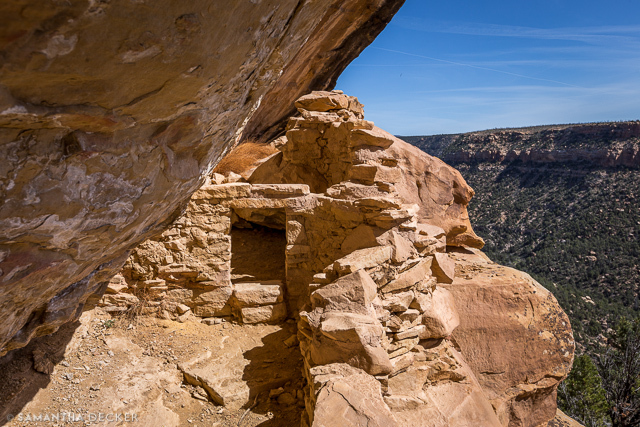 Looking across from the other side of the kiva. One of the rooms in the house. 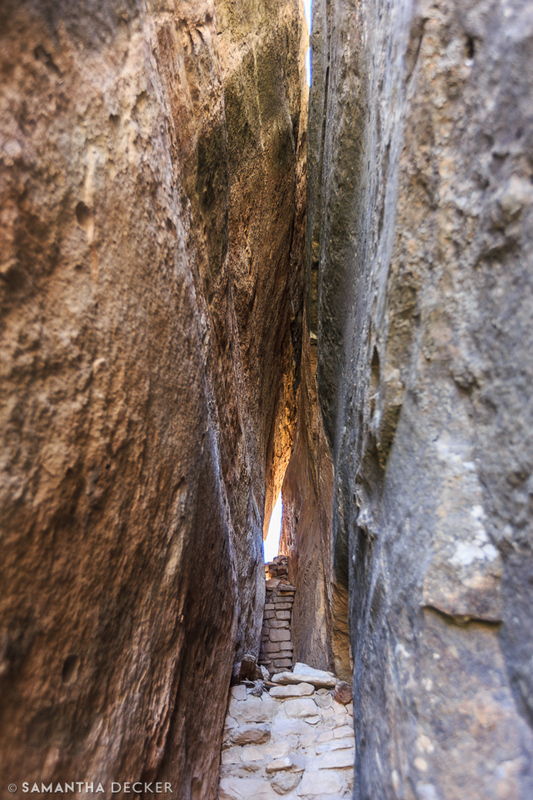 Climbing through this narrow opening is just part of the experience of this tour! 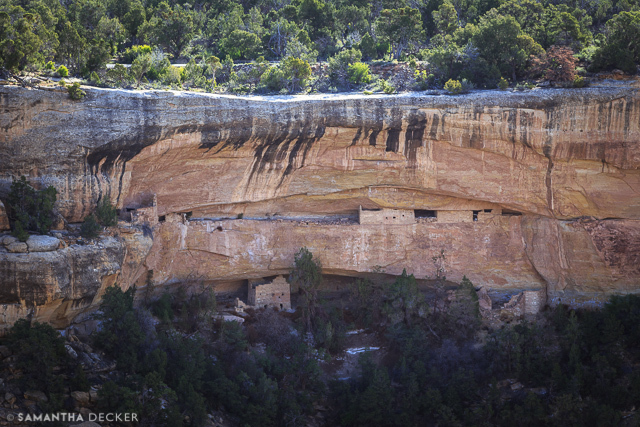 Cliff Palace, probably the most famous cliff dwelling, photographed from a lookout across the canyon. 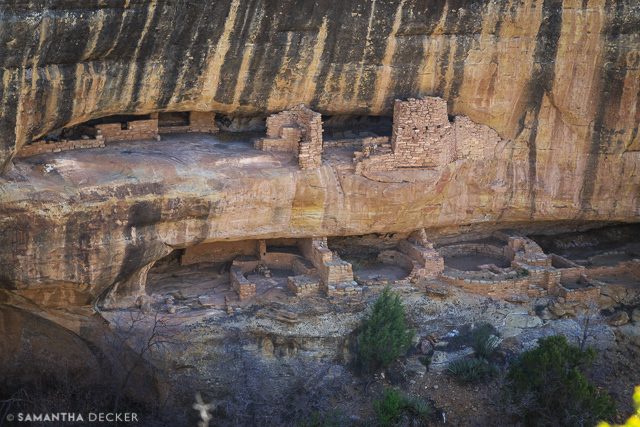 A much more zoomed in photo of Cliff Palace. In my next post, I'll share photos of Monument Valley! No doubt the January was an adventure. 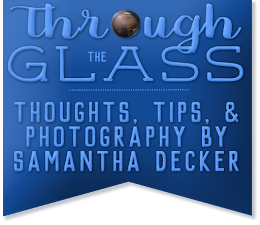 Thanks for sharing your nice travailing story and also the images.